Nighttime is our formula, specific for when you need restful sleep. It is a natural way for you to be able to fall asleep quicker, sleep more comfortably, and wake up feeling refreshed and excited for the day. 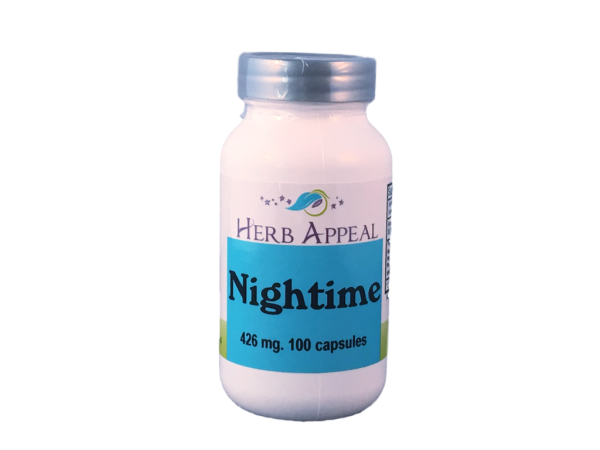 The first two herbs are Hops and Valerian root, both known for their mildly sedative properties. Hops and Blue Vervain, along with being sedatives, are known for their anti inflammatory and de-stressing qualities.